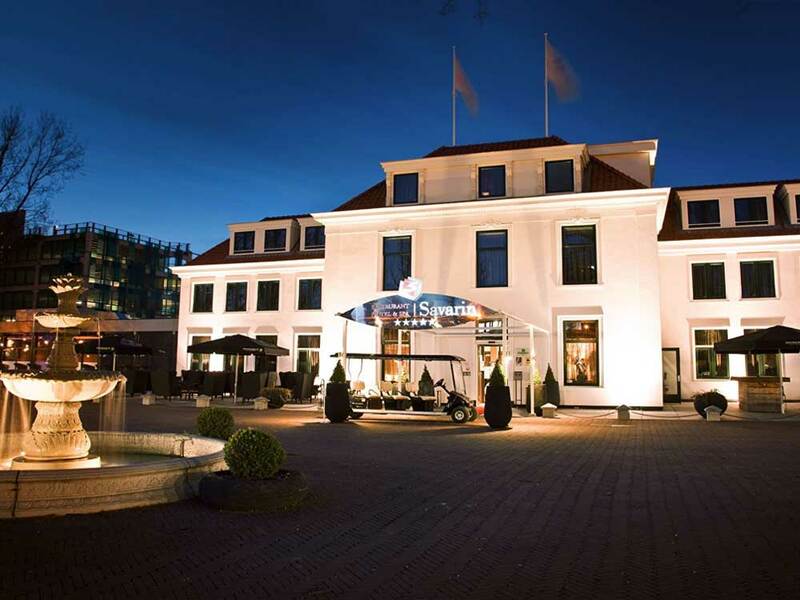 The iconic mansion "Zuidhoorn" has been fully remodeled into an exclusive five-star hotel. The classic proudness of the building is completed with 35 modern rooms and suites which will provide our guests with all the luxury and comfort they'll need. All the rooms and suites are furnished by top designer Nijboer. Modern style and creativity are shown in the tradition and authenticity of the Dutch elements. In every room, a painting of the School of The Hague returns. For example the “Mesdag”. The Comfort rooms mix timeless elegance with contemporary comfort and offers you a first class stay. The Comfort rooms have a sophisticated interior with comfortable Duxiana beds, access to free WiFi, a LED TV and a minibar. The stylish bathroom offers you luxury bath products, soft bathrobes, slippers, moisture free mirrors and underfloor heating. The Executive rooms offer enough space to be working quietly. These rooms are situated at the front of the hotel and offer you a beautiful view over the park. You will enter the world of luxury. Savarin has one Executive room available for disabled people. These rooms have a wide, adjusted bathroom which is fully equipped. This room is wheelchair friendly. The spacious Top Executive suites are situated on the upper floor of the hotel. This floor is only accessible for guests who are actually staying on this floor. Between 16.00 and 18.30 hours we have a Grab & go buffet on this floor from where the guests can enjoy a small refreshment. The Top Executive Suites have more spacious bathrooms than the ones of the Comfort rooms and Executive rooms. The Junior Suites are situated at the top floor of the hotel, where you can enjoy the Grab & go buffet. This floor is only accessible for the guests who are actually staying on this floor. The spacious working area and the comfortable extra seating area with extra TV will make sure you will have an unforgettable experience. Furthermore you can fully relax in the bathroom with Jacuzzi, shower and double sink. Hotel Savarin has one Family Suite. This suite is ideal for families and has four places to sleep. The sleeping areas are separated with a luxury bathroom which has a shower with steam cabin, double sink, big Jacuzzi and bidet. This suite of 60 square meters has a separate living room with sofas, a fire place, meeting table and big LED TV. The bathroom is equipped with a shower with steam cabin, Jacuzzi and double sink. Besides, this suite had an on-site balcony with stairs to a private roof terrace of 25m2. This luxurious apartment is cosy decorated and has a sleeping area, a comfortable sitting area with a big Samsung 3-D TV including 3-D glasses and a dining area. The standard hotel room facilities like a minibar, safe, trouser-press, free wireless internet and a working area with telephone are obviously present. As well as enough closet space and air conditioning. In the kitchen of the apartment you have access to a big refrigerator, dishwasher, climate cupboard for wines and an induction cooker. With four persons or more, the separate bedroom will be opened for you. This room has also a comfortable Duxiana box spring bed, a separate bathroom with rain shower, toilet and sink, a minibar, safe and free wireless internet. The Duxiana bed is equipped with a LED-TV including a DVD-player.